Hashim Syed, owner of a 7-Eleven franchise in Chicago, says the company’s rules make it too hard for him to cut costs so he can pay his employees more. 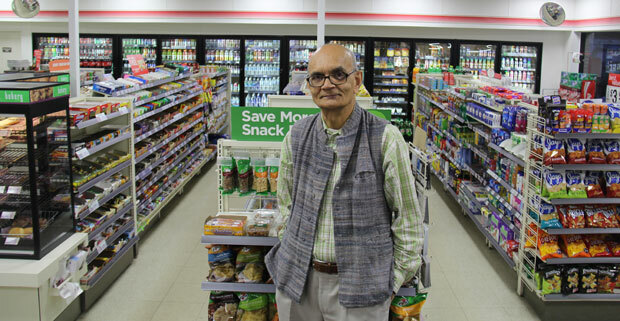 When we asked what it is like to own a franchise of the world’s largest convenience-store chain, Hashim Syed took us to a cramped back room of his store, a 7-Eleven on Chicago’s North Side. Sitting next to a wall of tubes filled with bright-colored syrup for the soda machine, Syed recalled a young man working the graveyard shift a few years back. This employee wanted to be with his father, who was gravely ill. The employee kept most of his shifts and, to this day, Syed regrets it. “I wish I would have given him some time off,” he said. In Syed’s nearly quarter century as a 7-Eleven franchisee, he has worked brutally long hours, his profits have fallen far short of his expectations, and the Dallas-based chain has imposed tighter rules on how he runs the store. An array of signs suggests Syed is not the only one questioning how franchising affects the workplace. Franchisees are pushing several states to clamp down on allegedly predatory franchisor practices. Web sites such as Blue MauMau and Unhappy Franchisee have sprung up to connect these small business owners and give them a voice. In one industry, “franchisees” have won a string of class-action lawsuits claiming that they are really employees and that their employers are using the franchise model to skirt wage-and-hour laws. Franchises, especially those serving fast food, have also become frequent protest sites for a movement demanding higher wages and benefits such as paid sick leave. Those protests have grown louder as some politicians, ranging from Illinois Governor Pat Quinn to President Barack Obama, call for raising the minimum wage. And, while many economists and business groups praise franchising as efficient, the model is taking hits from some scholars, including an Obama nominee to head the U.S. Department of Labor’s Wage and Hour Division. That nominee says franchising is part of something much bigger — something bad for the workplace. Franchising dates back to the 19th century, when manufacturers such as the Singer Sewing Machines Company developed the model for sales representatives. By the 1960s, franchising was ubiquitous, thanks to fast-food chains such as McDonald’s and Burger King. Today franchising takes place in a dizzying range of industries, from tax services to child care, from real estate to car repair. The number of U.S. franchise jobs in recent years has grown, now totaling more than 8.1 million — about 7 percent of private-sector jobs, according to data from payroll processor ADP. Franchise employment growth has outpaced jobs growth in the economy as a whole for 12 consecutive months, the data show. In Illinois, franchise employment totals almost 345,000, according to the International Franchise Association Educational Foundation. As of January, 1,152 companies had active registrations to sell franchises in Illinois, the state attorney general’s office says. Here is how the model works. A company thinks it has a good thing going and decides to expand. But it may not be familiar with the new places and may be short on capital. It also does not want to employ the necessary workers. It would rather have someone else do that — someone with skin in the game. For the franchisees, the model allows them to run their own business and take advantage of company resources for things such as property, equipment, training and marketing. The franchisees also pay an upfront sum known as the franchise fee, typically five figures. Once in business, they pay a specified royalty — often 5-10 percent of sales — and fees for things such as advertising, management and insurance. Successful franchising depends on a good brand — which means, above all, consistency. At all 16 locations of Al’s Beef, the sandwiches not only taste the same, they drip the same, thanks to a uniform recipe for their jus. What protects the brand is the franchise agreement, which spells out franchisee rules on topics such as operating hours, dress codes, supply vendors and payroll processes. Despite paying all the fees and following the rules, a franchisee has no guarantee the unit will flourish. Franchises go belly up about as often as independent businesses in their industry, according to the U.S. Small Business Administration. Many franchisees do hang on — some for decades, like Syed, the 7-Eleven operator. A third of franchisees run multiple units, usually two or three, according to Franchise Business Review. But the model is fraught with tensions. When a franchise agreement expires, companies sometimes take the opportunity to increase the royalty or impose tighter rules. If the franchisee does not follow the rules, the company might take over that unit. Last summer, 7-Eleven ousted franchisees from several Chicago stores for alleged franchise-agreement violations. The company, for its part, has reasons to establish rules — and enforce them. Making all franchises buy from the same supplier can help bring down costs. Higher fees can fund more advertising. Quality standards help keep franchisees from freeloading on the brand. Other tensions stem from the wages and work conditions of franchise employees — the workers who flip the burgers or ring up the Slurpees. Last June, federal authorities seized fourteen 7-Eleven stores in New York and Virginia and arrested the franchisees for allegedly employing illegal immigrants, forcing them to work long overtime hours, paying them for just a fraction of their work and forcing them to live in substandard housing owned by the franchisees. After the arrests, the corporation said it planned to step up its franchisee monitoring. Economists disagree about what causes such work conditions. Some cite the low-skilled jobs in many heavily franchised industries. 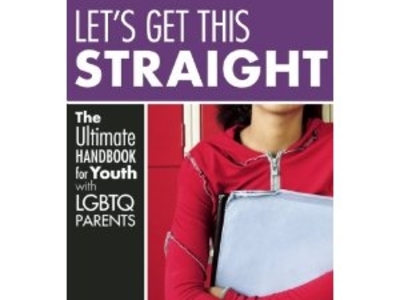 They point to cutthroat competition. “It’s more the industry that determines the working conditions of the employees than it is the way in which this is organized,” said LaFontaine, the University of Michigan economist, defending the franchise model. Other experts tie the low wages to the franchising. When a company franchises, they point out, it is adding extra owners and a new layer of competition. That means more people taking slices of the pie and more pressure to cut costs such as wages. “Each different business is operating on a thinner margin,” said David Weil, the Labor Department nominee, who is a business professor at Boston University. Weil co-authored a study that found that fast-food restaurants operated by a franchisee are more likely to violate wage-and-hour laws than eateries the big corporation runs itself. When workers earn less, a related argument goes, they also consume less — a drag on the economy. In a new book, Weil acknowledges the benefits of franchising for businesses that want to expand, but he also likens the model to various forms of outsourcing. He says they are all ways for big companies to shed employment responsibilities. After a while, however, Syed decided that being a franchisee was not all it was cracked up to be. It was not just the long hours. The company allowed another 7-Eleven to open just a few blocks away. Then it changed the terms of his franchise agreement. Other franchisees complain that 7-Eleven goes as far as to remotely control the temperature in their stores, even the volume on their televisions. Many of 7-Eleven’s rules do help protect the brand. And the company has reasons to make franchisees purchase supplies from an approved vendor. For one, 7-Eleven can use the collective buying power to keep costs down, a company official said. Something 7-Eleven does not control are employment decisions, including the amount Syed pays his workers. Syed said one of his half-dozen employees, the manager, makes $10.50 an hour. He said the rest earn less — in a state where the minimum is $8.25. Syed said he can hardly blame employees who are upset about the pay, but he insisted he is not getting rich either. Last year, his 23rd at the store, Syed took home $53,866, he said. That was one of his best years, he added. 7-Eleven officials declined to get specific regarding the company’s agreements with its approximately 6,200 franchises. But Jay Mitchell, a franchise-sales manager at the Dallas headquarters, said 7-Eleven was not going to take responsibility for wages or work conditions. Questioned about such employment policies, 7-Eleven spokeswoman Margaret Chabris said the company provides franchisees “very comprehensive” training and said the franchise agreement requires them to follow the law. But Syed said the rest of the agreement makes it too hard for him to cut costs, leaving him little room to pay his employees more. “That worker also thinks — and I know it for a fact — that I am just greedy and I want to keep all the money in my pocket instead of giving him fair wages,” he said. Syed, who publishes a newsletter for Chicago-area 7-Eleven owners, says state and federal lawmakers should do more to protect franchises from the companies that own their brand. To date, just 17 states have any laws governing franchisor-franchisee relations, according to Dean Heyl, who directs state government affairs for the International Franchise Association. Those states include Illinois, which enacted its Franchise Disclosure Act in 1987. That law regulates how franchisors treat prospective franchisees and requires franchisors to have “good cause” for terminating a franchise. Last week, Maine’s state Senate voted down a bill that would have, among other things, required franchisors to provide a franchisee a 60-day notice to resolve a problem before termination. The bill also would have allowed franchisees to leave their business to a spouse, partner or heir. After a discount, Pérez said, she managed to put in $19,000. Since then, she said, she has never come close to earning the monthly $6,000. “Every month they take out 20 percent of what I earn” and CleanNet does not give her enough customers within range of her home, Pérez said. In Illinois, CleanNet is among at least eight commercial-cleaning firms registered to offer franchises, according to the state attorney general’s office. The biggest is Jani-King International, based in Addison, Texas. Jani-King says it pioneered franchising in the commercial cleaning industry. Asked whether ducking wage-and-hour laws was a big factor in deciding to sell franchises to janitors instead of employing them, the company emailed a statement that did not directly answer the question. But Weil, the Boston University business economist, said the franchise model enables the cleaning companies to shortchange the janitors. “If you start doing the math, you realize that people are being paid way below the minimum wage or being denied overtime payment and are really being subjected to inappropriate expenses by another company for, essentially, being an employee of that company,” he said. In the cleaning industry, it is not just the “franchisees” who are vulnerable to wage-and-hour violations. Those workers often bring other people to help them with jobs. Pérez gets part-time help from her husband, a son and a neighborhood friend. “I can’t afford to pay them minimum wage,” she said. Court rulings in Massachusetts have upended franchising by janitorial companies. “Several have closed down or stopped operating the way they were operating,” said attorney Shannon Liss-Riordan, who filed the key suits. Now the companies are either treating their janitors like employees or “not charging workers upfront for a job,” she said. “My hope is that some of the rulings that we’ve gotten [in Massachusetts] will spread,” Liss-Riordan said. That prospect worries Heyl, the International Franchise Association lobbyist. If lawsuits drive franchised cleaning companies out of business, there will be less competition and increased prices, he warned.